Thinking of getting your own video? Check out our education video page for more information and video examples. If you’re struggling with customer experience and retention, it can be a really frustrating and worrying time for your business. Customers will churn and leave bad reviews for your product or service, but never give you any real insight into how to fix the problem. If this sounds familiar to you, then it’s time to start shifting your focus towards customer education. Customer education is, quite simply, the process of educating your customers on how great your product or service is so that they can get the most out of it. With 67% of consumers listing bad customer experience as one of their primary reasons for churning (and the cost of customer acquisition rising! ), focusing on customer education can give you the edge you need to thrive in your industry. After all, if your product or service doesn’t work exactly as a user expects it to, there are plenty more brands out there that they can turn to. According to Sunil Gupta, the Edward W. Carter Professor of Business Administration at Harvard Business School: “Churn is a big deal…acquiring a customer is far more costly than keeping a customer.” And we agree! When a customer leaves, it can feel nigh on impossible to convince them to return! With customer education, you can create a win-win situation: your customers get the best out of your product or service, and in return you get a happy customer! So educating your customers is really a no-brainer. Video is a popular, engaging form of content. It’s a quick and simple way for you to get your message across to customers, and it gives you a chance to entertain them while doing it! When creating content to educate people, you want to make sure that they retain the information – video is good at this! There’s something about seeing images and hearing sounds together that sticks in our brains. According to a recent report by Hubspot Research, 54% of consumers want to see videos from brands, in comparison to email newsletters or image-based content. The same report also found video content to be the most memorable of the three. When you create a video, you have an awesome piece of content that you can use time and time again. This is one of the reasons that video is so cost-effective. In fact, according to 51% of marketing professionals worldwide, video is the type of content with the best ROI. Well as you already know, video is engaging and memorable – and this makes it a worthwhile investment for marketers. But it is also trackable, unlike text content such as emails. When you send an email, although you can see whether it has been opened or not, there is no way to know how much (if any) was read. However, most popular video hosting sites have analytics tools that can show you the watch-rates of your videos down to the very second that users switched off. You can cram a lot of information into a short video, and you can also cover a lot of ground. For example, in the couple of paragraphs it would take to write about your company’s background, the staff, and your product, you could show all of that in just a few minutes of video – and the end result would be much more interesting! If you’re selling software, video allows you to give new customers a complete overview of it. If you’re selling a product, you can show them exactly how it works. If you simply want to welcome them to your brand, you can have your staff members personally say hello. Whatever you’re doing or selling, a video is much more effective than nameless, faceless text. They don’t get much simpler than this. In just over thirty seconds, Canva–a graphic design tool–shows users exactly how to create and publish an image using their drag-and-drop functionality. This video was most likely recorded in-house by the Canva team (which means it probably cost very little to make! ), and could serve to replace hundreds of calls to their customer advice team from disgruntled customers asking for help (saving them even more money and time). Customers aren’t asking for bells and whistles, they just want to know how to best use your product, and this video delivers. Yes, even a company that sells cream cheese can benefit from a customer education video! Philadelphia is a brand that is over one hundred years old. But at a time when only 37% of people now consider themselves to be ‘brand loyalists’, that hardly seems to matter anymore. This video keeps Philadelphia relevant with current consumers. It encourages people to enjoy the product in new ways and also gets people talking, and hopefully buying! Scarves are a versatile but often forgotten about accessory. This video by Coach sets out to change that by showing many different uses for their scarves. With instructions written on-screen in swirly typography and scenes that depict quirky characters in an array of situations, this video educates customers on how their product can be practical and stylish. It also speaks directly to their ideal customer (a millennial woman) by placing their characters in scenes that their customers would be able to relate to, such as hopping on the subway or chatting with friends at a cafe. Everyone loves Ikea furniture, but the assembly…not so much. Ikea’s assembly instructions are so notoriously frustrating that there is a YouTube craze called the ‘Ikea Assembly Challenge’ in which people (mainly couples) try to build Ikea furniture without getting frustrated! The great thing is that Ikea has recognised this problem and created not just one customer education video, but an entire playlist. These how-to videos are extremely in-depth and act as a visual reference for customers who struggle with the written instructions that come with the furniture. BMW is a premium car brand. This means that their typical customers are interested in high quality products and don’t mind paying a premium to own such a product. They are also, more often than not, interested in motorsports. The above video, part of the BMW Skills series, is a great way to improve the satisfaction of their customers by showing them how to get more from their car – and learn a fun, new skill along the way! As a leading team-collaboration tool, Slack is always innovating new ways for colleagues to connect. This video shows users exactly how to implement their new message buttons feature, by creating lots of different scenarios for its use. There are no flashy transitions or over-enthusiastic actors, just the product. This video shows that customer education videos can still be engaging even if you’re just recording the screens of your software and adding a catchy soundtrack. If you’re a coffee lover, then investing in a coffee machine can be really exciting…until you find out you have no idea how to use a coffee machine! This customer education video from Sage does a great job of coaching customers through the process from the very start, even explaining how to best remove the machine from the packaging. The instructions are simple, clear, and straight-to-the-point, and the text on screen does a great job of reaffirming what the presenter says. There are a lot of passing trends in the exercise world, and I thought foam rollers was one of them until I watched this video. This detailed explanation by TriggerPoint not only tells potential and current customers how to use a foam roller, but also why it is important. Detailed scientific diagrams are paired with live-action visuals of the foam roller in-use to give viewers as much information as possible. The video also does a great job of breaking information down into easy-to-remember segments. The guided meditation app, Headspace, makes use of fun, colourful and bright animation to show people how to prepare for meditation. The step-by-step visual and written instructions make it clear what users are to do, however the brand also isn’t afraid to have fun with its content. The basketball metaphor at the start of the video is a great example of how to ‘think-outside-the-box’ when it comes to explaining your product or service. The Super Ultimate Garage Epic Set from Hot Wheels is definitely, well…epic! It’s a huge toy that can fit over 100 cars, but it requires some very detailed assembly. When Santa Claus brings a toy like this, kids are usually very excited and impatient to play it, and that’s why this video is so great. This video shows viewers exactly how to build the garage in just over 5 minutes. Each step is simple and clearly explained, so it could even be watched along with children to help them understand how to build it. As children we are all taught how to brush our teeth, and yet surprisingly 90% of adults still aren’t doing it correctly! This quick video from Oral-B shows viewers exactly how to use their electric toothbrushes to get the best results, using a 3D animated model. Like the TriggerPoint video above, this too includes handy snippets of advice that viewers will be able to remember and recall at a later date. When introducing a product as revolutionary as a new payment method, you can expect customers to be a little bit sceptical. So a couple of years ago, when introducing Samsung Pay, Samsung made a customer education video to tell users everything they needed to know. The video takes users through all possible scenarios, including setup, using an atm, and getting a refund. The interesting camera angles and transitions from person to person keep the video fresh (as it is a little on the long side! ), and the step-by-step instructions on screen do a great job of breaking everything down for the viewer. The video also ends on a strong note by directly addressing customers’ concerns about the security of the service. Onboarding is such an important part of a customer’s journey with your brand. Those first few interactions have the power to either turn someone into a lifelong fan, or turn them away. With a clear and engaging customer education video you can ensure that the former happens, rather than the latter. 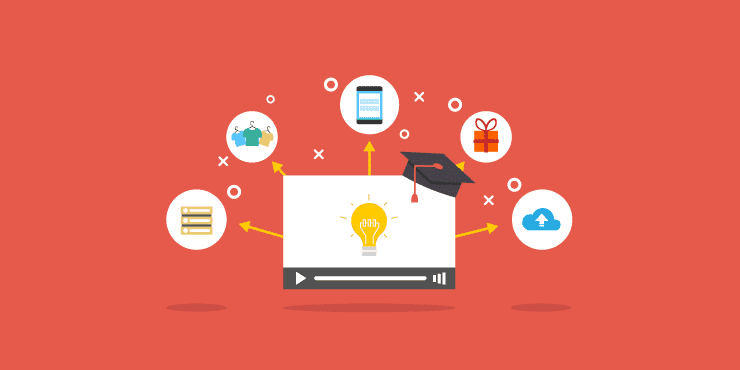 To learn even more about customer education and how to retain your customers for much longer, check out our Ultimate Guide: Onboarding Users with Video.